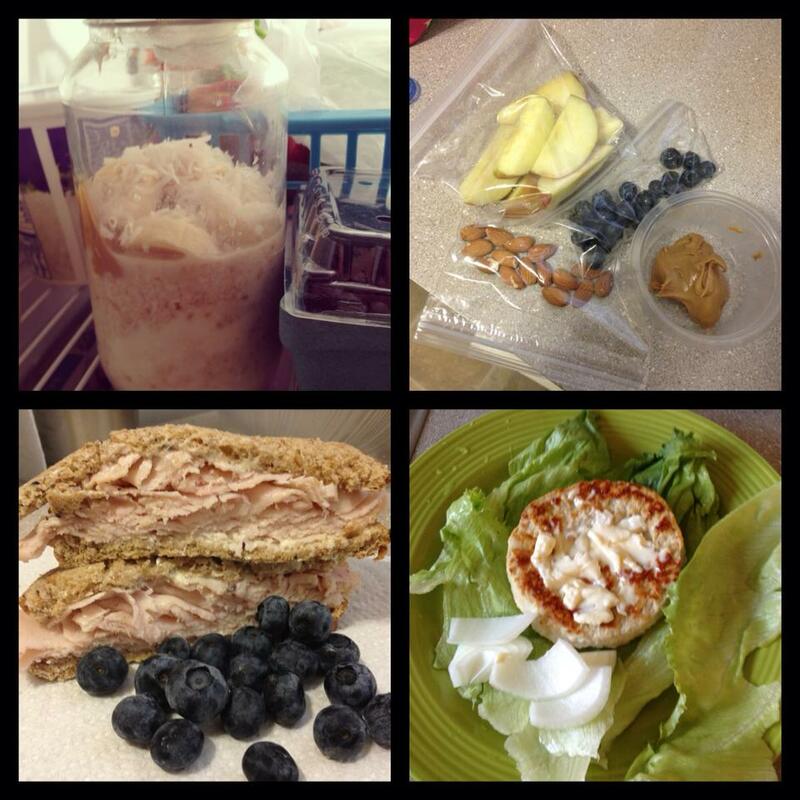 Like most people, I like to have a general idea of what’s in my food and what I’m putting into my body. I know that choosing a bottle of water over a bottle of soda is a better choice for a variety of reasons. But it wasn’t until recently that I started giving more thought to, well, everything I eat. The ingredients in any processed food I buy. I don’t know, I never thought I really needed to worry. Last night I found out that my pantry and my fridge had some of the most dangerous substances in them when I started to really read the labels. I always used to think that people who bought organic everything and read all the labels were just —— assholes. No joke. Like it was some pretentious club “oh we’re better because we can buy more expensive margarine that saves whales and cures aids cancer at the same time” and while there are pompous jerks like that out there I realized that no, most of these people are just well-informed and have done their research. Something that I’ve avoided doing for so long because I already knew it wouldn’t be something I’d want to hear, realize, or accept. What really had me start reading labels over a year ago was fake sugars. Sucralose, aspartame, stevia, you name it, they are in just about EVERYTHING and you can read more about my sugar rants here. The more conscious and I was about what I was putting into my body and what was in foods, the more aware I was that there are chemicals in so many food products and I don’t even know what 90% of them are or do. So last night I decided to start reading the ingredients on some staple things I always keep in my kitchen. Re-fried beans for Taco Tuesdays, canned chili for when I need something in a rush, mayonnaise in my fridge; food items that I use often, food items that tons of people use often. I expected to see chemicals and things I didn’t know about, but what I didn’t expect to see was just HOW harmful these chemicals were when I started researching them. The first thing I reached for was my beloved mayonnaise. I know it’s not healthy, at all really, but I LOVE mayo. I use it in my tuna salad, when I make egg salad, on sandwiches. 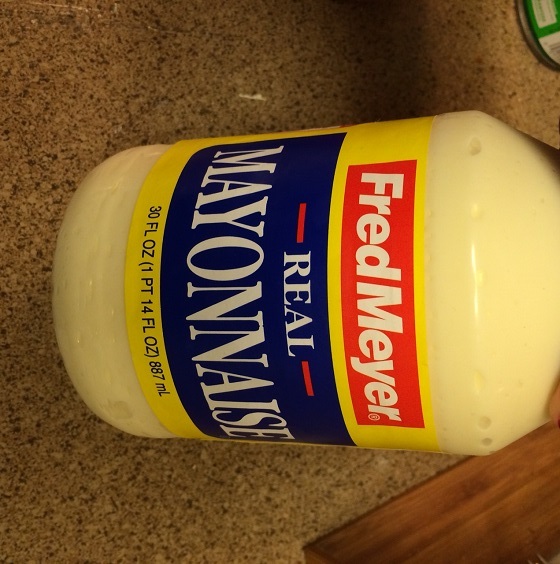 It’s your typical bottle of generic store brand mayo. Then I turned it over to read the label. Ethylenediamine – this compound reacts in humid environments with air creating a toxic mist. It is commonly used in coolants and paints as a corrosion inhibitor, which helps prevent the corrosion of a metal. It is also used as a chemical in fabric softeners, adhesives, dyes, and clearly as something to keep mayonnaise from spoiling. No wonder mayonnaise stays good for so long! It has so many preservatives in it! And if you’re like me, you may also be thinking “oh it’s just TRACE amounts, this isn’t THAT big of a deal, of COURSE they have to put something in it to keep it fresh…I mean…it’s not a big deal.” But isn’t it though! 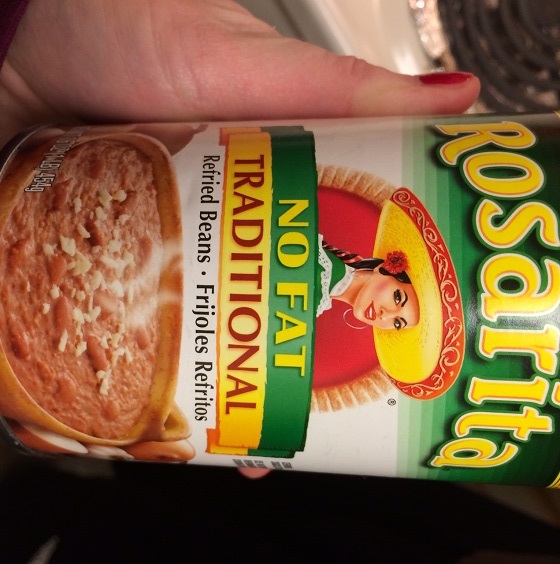 Next up was the so called “no fat” refried beans. Anytime I’ve seen fat free, sugar free, light, or anything of the sort, it’s usually full of added sugars or fake sugar substances. 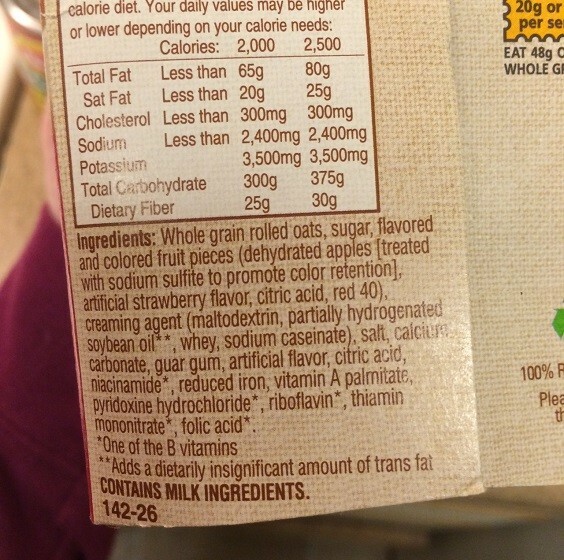 But did you know most processed food products are also full of trans fat, MSG, and other chemicals? Gross! Notice that these are labeled “no fat” not “fat free” and there’s a reason. When I usually grab this in the grocery store, like most people, I expect to be able to believe the labels. 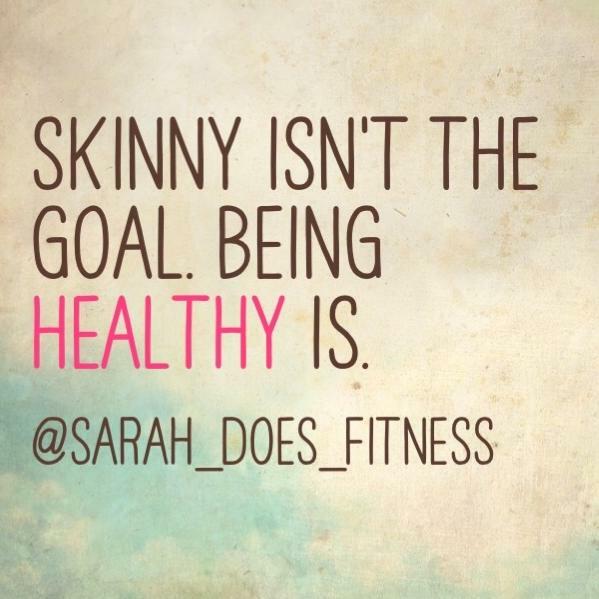 No fat should mean no fat, right? The problem is that labels aren’t regulated, even organic items are labeled differently and have different requirements to meet depending on the type of organic label used. GAH! 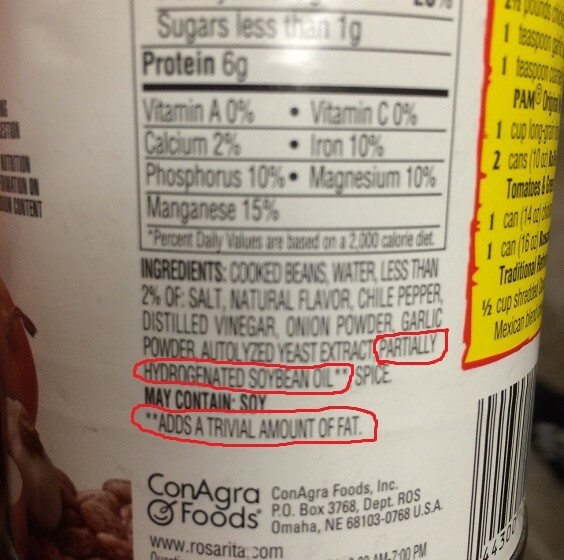 We were doing so well, Rosarita, until you got to autolyzed yeast extract (a cheaper chemical extract similar to MSG but with less glutamates) and partially hydrogenated soybean oil – which “adds a trivial amount of fat.” OH SO BY “NO FAT” YOU MEAN JUST TRIVIAL AMOUNTS OF TRANS FAT -__- Define “trivial.” This makes me mad for so many reasons. Products are allowed to make claims on their labels that simply aren’t true or that in exchange have fake or extracted ingredients and isolates. 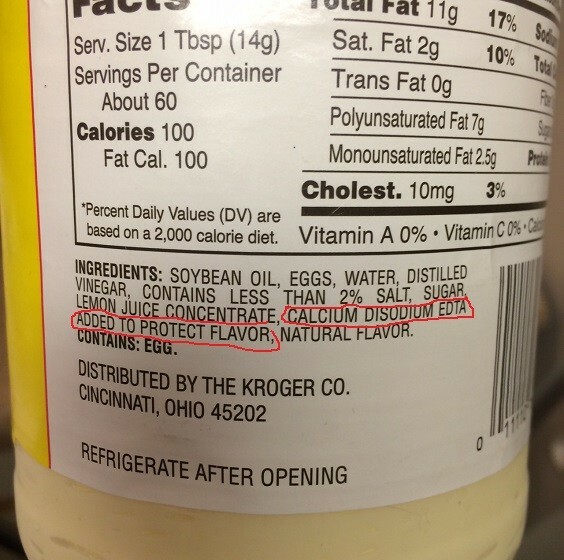 Partially hydrogenated soybean oil is the most commonly used trans fat in processed foods. Why? Because it’s inexpensive compared to butter and coconut oil. These oils go through a process called hydrogenation which sends hydrogen bubbles through the fat cells, making them more dense. Giving you that creamy, savory texture in foods. The problem is that these trans fats aren’t normal for the body, they don’t work like normal cells and they can cause major issues for your heart health. 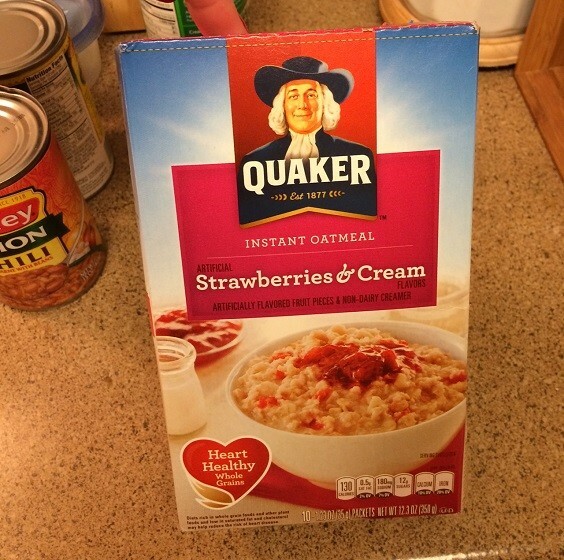 When I reached for my Quaker oatmeal, the kind I had so lovingly eaten my entire childhood, I was outraged. Having your boyfriend or girlfriend kiss another guy or girl once a year – what! It’s an insignificant amount! My main point here is that these things shouldn’t be in our foods but they are. Companies have solid reasons to add them: to retain their shelf life, so you can use them longer, so the expiration date doesn’t expire so soon, so they can spend less and make more money. And while we do have a choice to make better and more informed decisions about the foods we eat, we’re also limited. Limited by how much money we even have to spend on food, limited to the amount of whole and organic foods available in our neighborhood, city, or region. Believe it or not there are places where people don’t have access to fresh produce. Things are slowly changing but there’s still plenty of changes that need to be made! I’ve seen this trending recently, especially on Instagram. 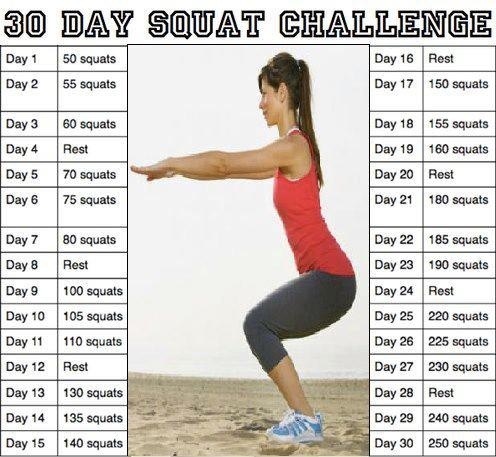 Think I’m going to give the 30 Day Squat Challenge a go in line with Ripped in 30. 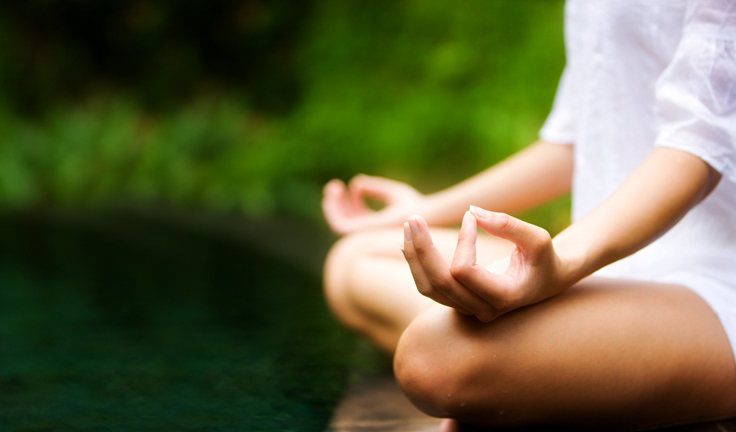 It’s also a small enough commitment, 2-3 minutes a day that we should all be able to do this! I just did my first 50 and I gotta tell ya, after 30 I started to breathe heavy and my legs got shaky. I can only imagine how strong this will make my glutes after 30 days! When doing a squat, I like to raise my arms perpendicular to the ground in front of me. It helps me maintain balance. Make sure MOST IMPORTANTLY to never extend your knees past your toes. Your back can be bent forward, just keep it flat. Let me know how it goes and maybe, eventually, I’ll be brave enough to post a progress pic of my bum haha. Suddenly it’s Summer time and while I’m a fan of the weather there’s the other part of me that’s panicking because that means it’s almost swimsuit time! AAHHH!! So last night I decided to get myself back on track in a new way. Besides eating healthy and exercising regularly, I also wanted to make sure the physical environment around me was clean and organized. I figure that the more organized my home is, the more clear my head will be to make better decisions and stay on track. So I headed out to the dollar store and picked up some bins to start organizing. Knowing where everything is is an AMAZING feeling. I used an ice cube tray for my earrings and now know where my stapler and tape is (I had THREE of each – who knew!?) 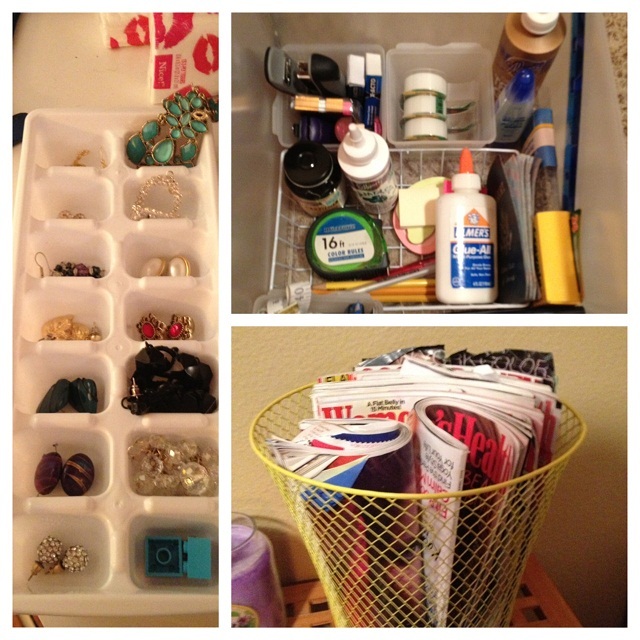 A great blog to checkout for more organizing tips to help keep your life at ease is Organizing Made Fun. Then this morning I started up Ripped in 30 again which is a decent step up from 30 Day Shred. I actually like it a lot better and it seems to go by faster. By the time I was done with Level 1, I was soaked through all of my workout gear. Here’s my healthy breakfast for today. 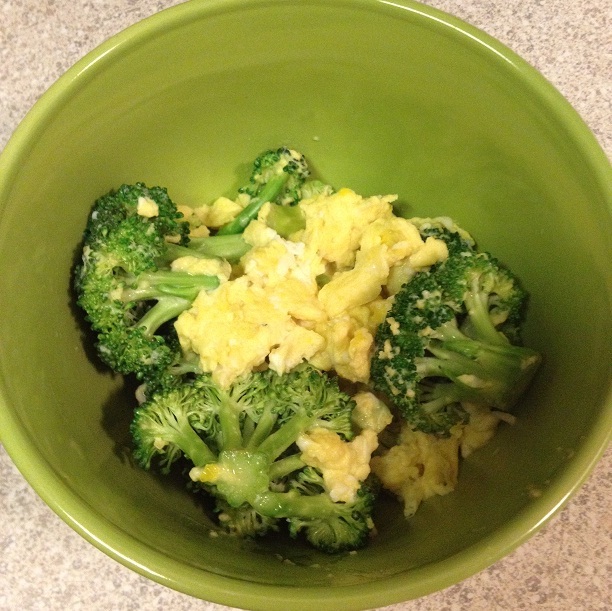 2 scramled eggs with broccoli and a bit of garlic salt. 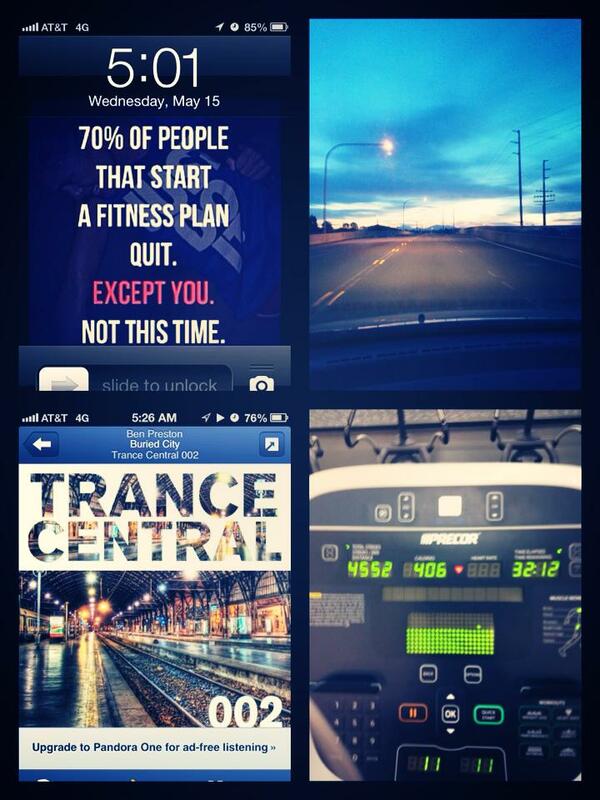 What other things do you do to help keep yourself on track?